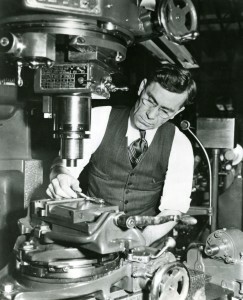 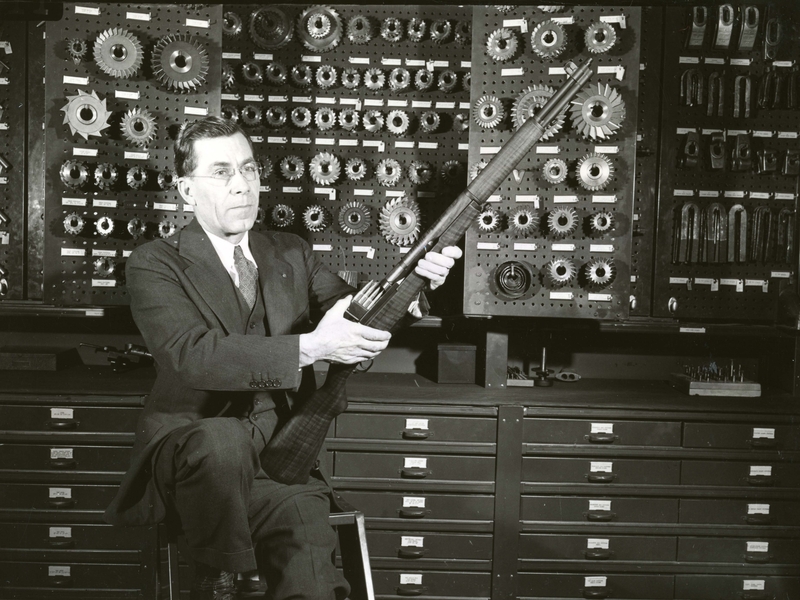 John Garand, inventor of the semi-automatic M1 Garand rifle, works in his shop in 1940. 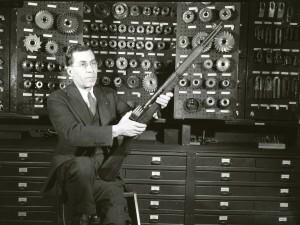 John Garand demonstrates how to load a clip of eight cartridges into the M1 Garand. 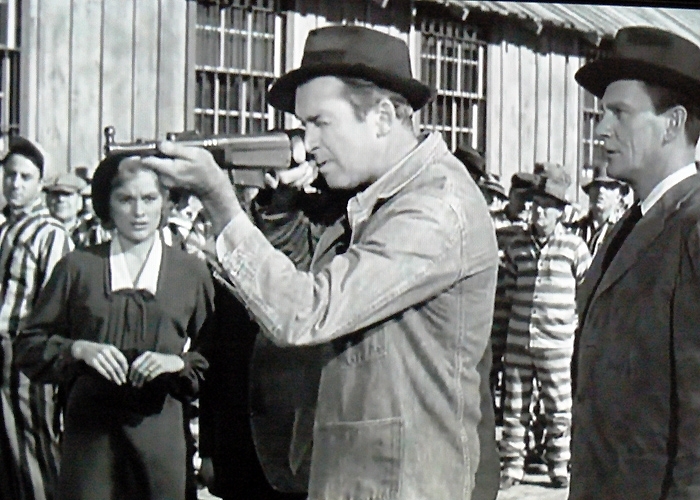 Jimmy Stewart portrayed David Marshall Williams in the movie Carbine Williams, that told the strange but generally true tale of Williams refining his design for the M1 carbine while he was a prison inmate (note the men in jail togs). 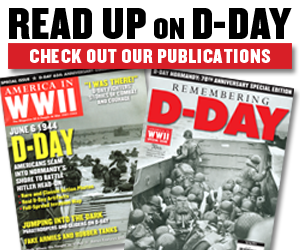 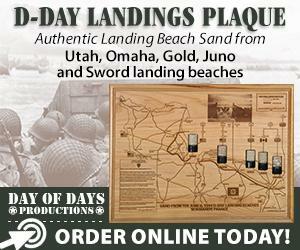 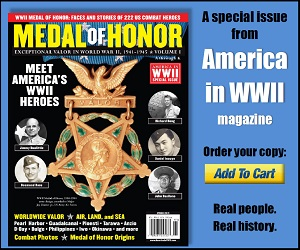 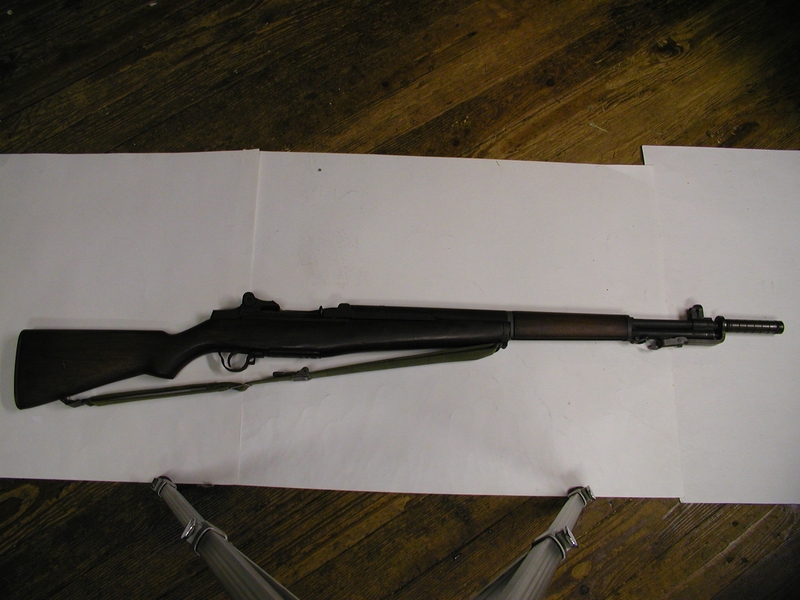 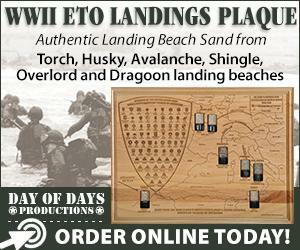 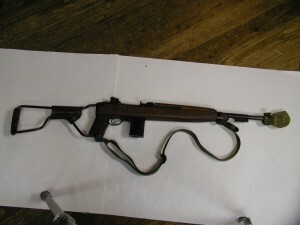 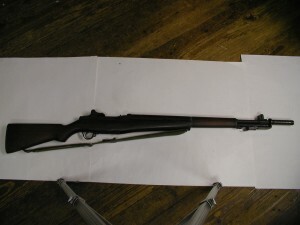 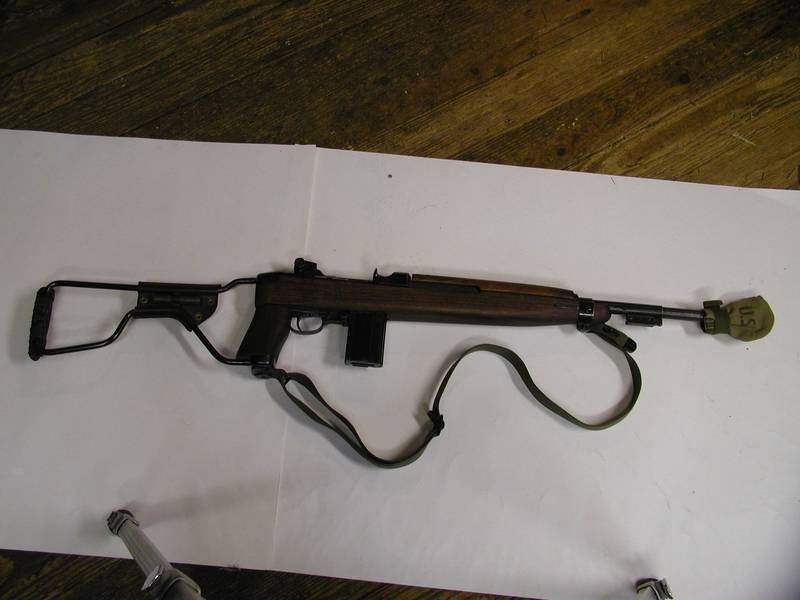 Though the Garand and carbine shared the designation M1—which means simply “Model 1” and was applied to many items besides these–they were different guns with different backgrounds. 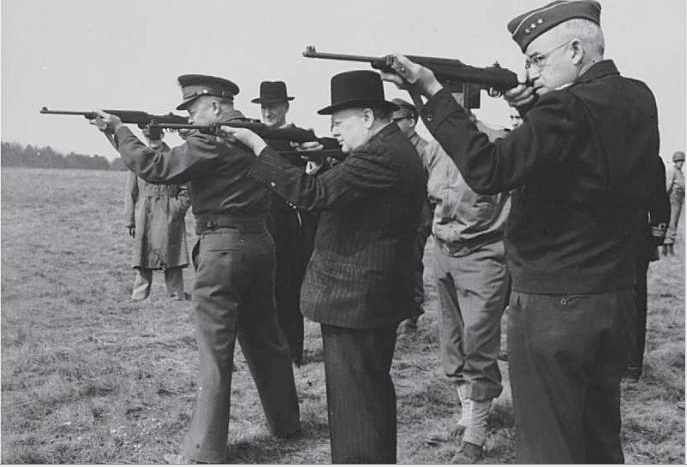 General Dwight Eisenhower, Prime Minster Winston Churchill, and General Omar Bradley take some test shots with M1s carbines in England in May 1944. 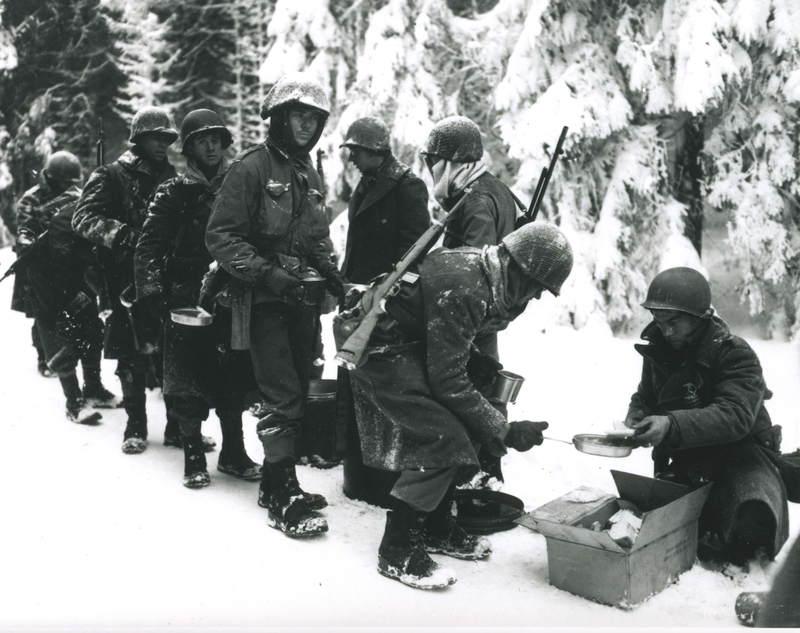 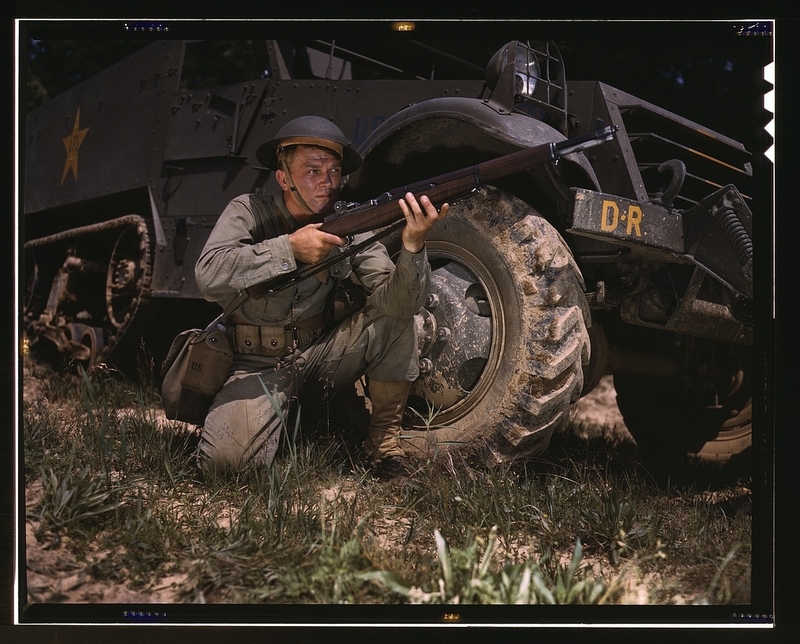 Carbines were often given to truck drivers and other support personnel who were not on the front lines, who needed lighter, more compact weapons. 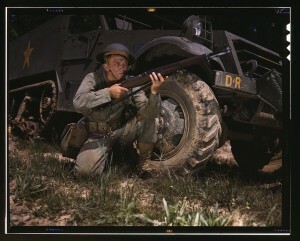 Playing General Merrill in the 1962 movie Merrill’s Marauders, Jeff Chandler carries an M1 carbine. 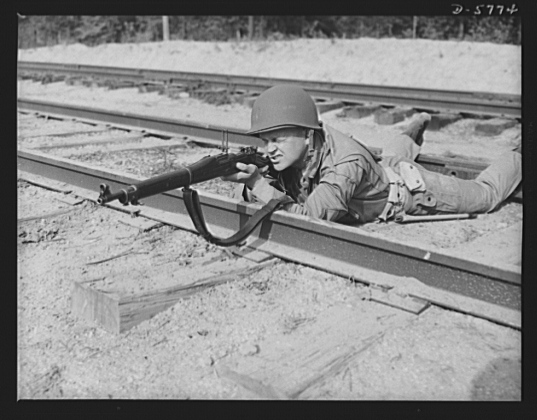 Note the sling, which helped the soldier carry the gun and also provided some steadying support when firing. 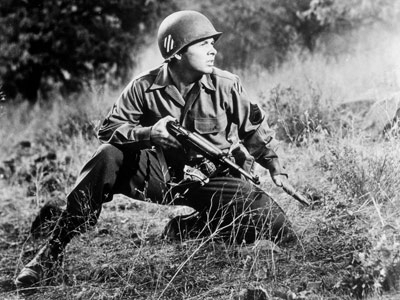 A still from the 1955 Audie Murphy biopic To Hell and Back shows an M1 carbine in the hands of the highly decorated WWII hero and postwar film actor.